Hard to believe that it’s July and you need to wear a jacket while wandering around downtown San Francisco! 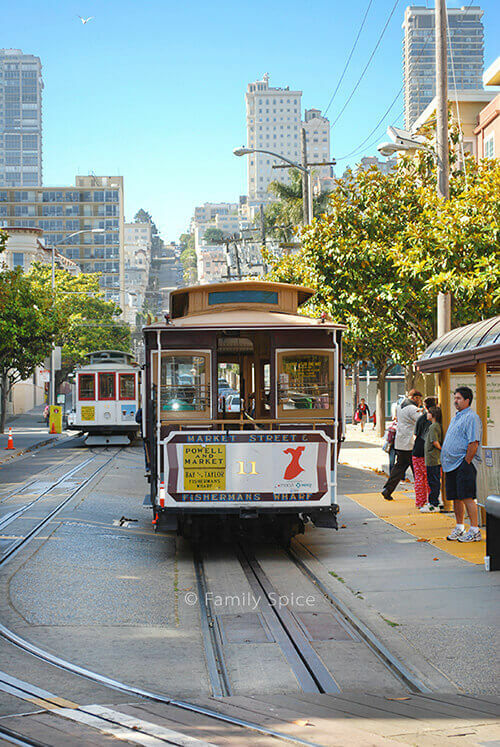 My kids and I enjoyed a day of riding cable cars, climbing up and down Lombard street and exploring Fisherman’s Wharf and Ghiradelli Square. Sometimes we forget that we are traveling with children and my husband plans for more adventure than three tired and hungry kids can handle. Only fueled by pop tarts and cashews, my family and I were definitely ready for lunch. I knew dim sum in Chinatown was out of the question. I hear “Eeew” and “Gross” with normal food, so who wanted to hear it for something they would never eat in a million, zillion years? For lunch we found ourselves back at Fisherman’s Wharf, this time looking for something reasonable and family-friendly. We found Cioppino’s, the restaurant, which is located across from the historic Cannery Building on Jefferson Street. My husband’s face lit up! This Italian restaurant had a casual family-friendly atmosphere. We chose to eat inside, away from the cold wind. My ravenous kids quickly ordered from the kids menu. Mac-and-cheese ($5) and fish-and-chips ($7) were the popular choices. I was pleasantly surprised to see broccoli served with the mac-and-cheese, which made my littlest one happy: she LOVES broccoli. With salt and lemon, she devoured it, and I found myself forcing her to eat her mac-and-cheese! For me, I didn’t know where to start. Again, there were plenty of choices on the menu. Pasta, pizza and seafood. 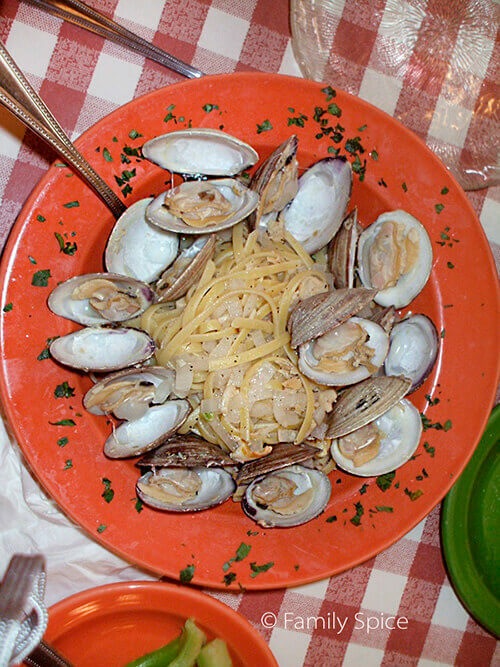 I have a personal love for linguine with clam sauce, and chose to order it. Hubby chose, what else? Cioppino! It is the specialty of the house. The food came out quickly enough. The white wine clam sauce was subtly flavored. Not wanting anything heavy to weigh me down, this was great. I would have made it myself with a tad more clams and flavor, but for $16 in Fisherman’s Wharf, I wasn’t too upset. I was dining in a designated tourist trap! The cioppino was $25, and there was no lazy-man fee, which we chuckled over. There was ample seafood and the portion was as satisfying as Scoma’s Restaurant. But, Cioppino’s, the restaurant, offered their cioppino with a fennel-flavored tomato base. 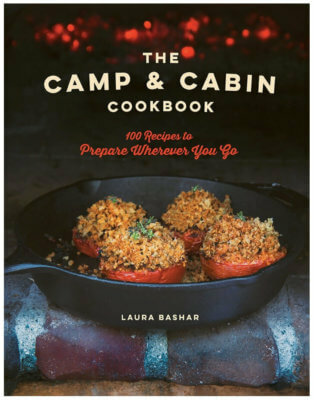 I have never cooked with fennel, since I find the flavor a little over powering. 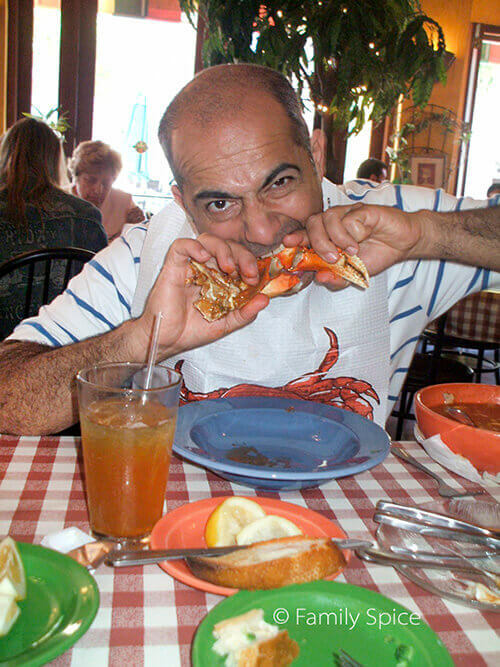 It was nice in the cioppino, but again, my husband found my version tastier. YES! The tomato broth can be a bit acidic. The Brazilian version of this dish, the Moqueca de Peixe, uses a little coconut milk or cream to the tomato base, which gives it a smoother taste. 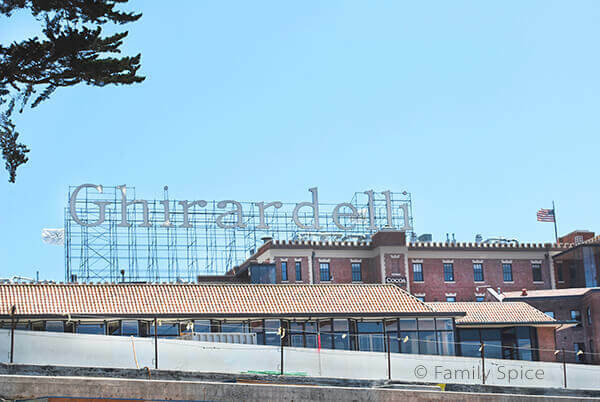 With everyone happily full and ready to continue the day, we ventured off to find chocolate indulgences at Ghiradelli Square!